Despite severe security measures by the Iranian government and a fatwa against the Fire Festival, Iranians came out in full force to celebrate the traditional event. According to the Islamic Revolutionary Guards affiliated Tasnim News Agency, Iran’s Supreme Leader, Ali Khamenei issued a fatwa today against Iranians celebrating the “pagan” event. 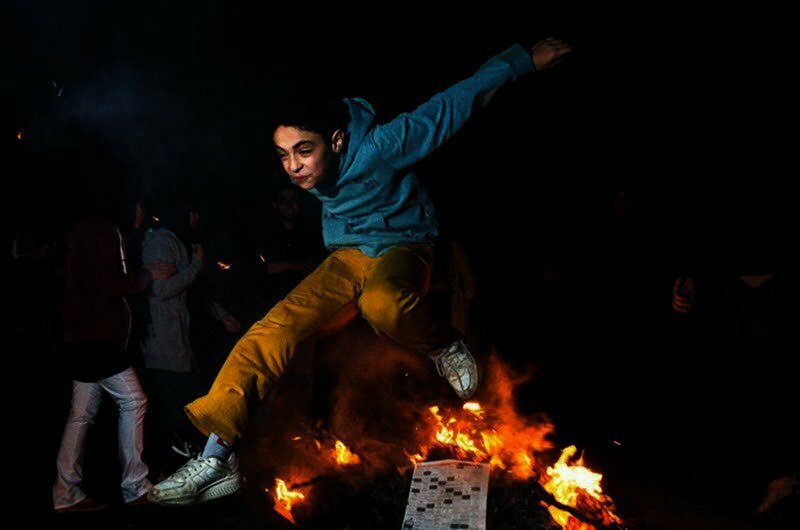 Iranians celebrate Chaharshanbe Suri on the last Tuesday night before the Persian New Year on March 21. The Festival of Fire is a remnant of the ancient religion of Zoroastrianism, where fire represents God’s light or wisdom. It’s celebrated by jumping over bonfires and lighting firecrackers. 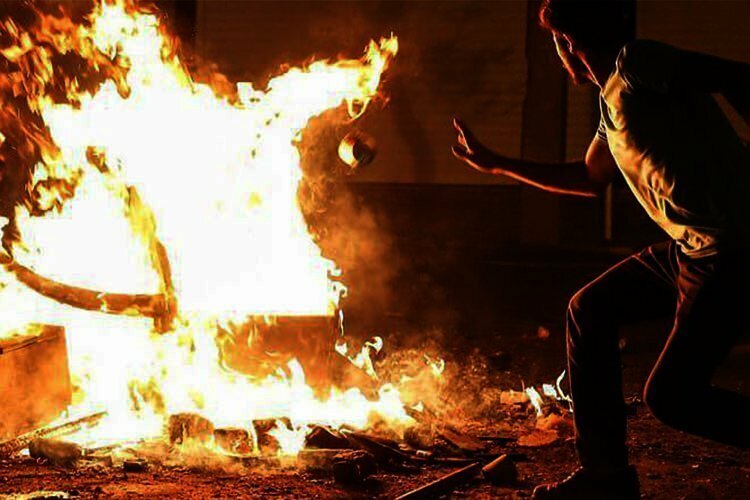 Fearing that the festival, associated with fire, will get out of hand, Iranian officials, specially clerics, consider the festival pagan and encourage people not to celebrate while security institutions arrest hundreds before Chaharshanbe Suri for supposedly selling and buying firecrackers. Youth celebrating the annual Fire Festival with hand-made sound grenades and literally taking over the streets. Despite this, videos on social media showed Iranians jumping over fire and lighting firecrackers and sound grenades. A video from the western city of Kermanshah showed people standing on top of a public trash bin chanting “down with Bassij forces”, a branch of the IRGC tasked with suppressing dissent inside Iran. There were also reports of clashes between the people and security forces in the city of Divandareh in the western province of Kurdsitan, after they attacked a regime security center. A video showed police firing into the air to disperse the crowds. Youth attack a regime security center (possibly a police station) after authorities opened fire on their crowd celebrating the annual Fire Festival. As the regime feared, Iranians will use every opportunity to vent their anger and frustrations towards the theocracy that has ruled with an iron fist for 40 years.